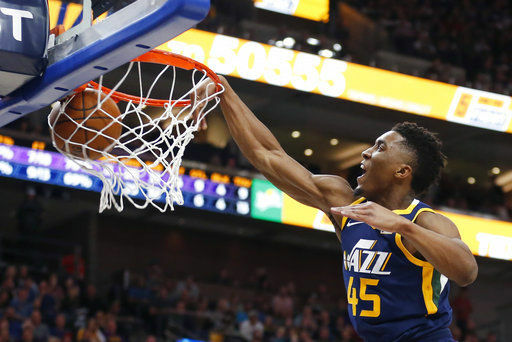 SALT LAKE CITY (AP) — His Utah Jazz teammates had been waiting for athletic rookie Donovan Mitchell to show off his explosiveness in a game. They finally got it Saturday night when the No. 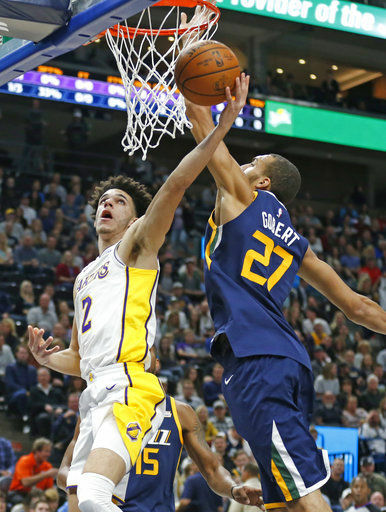 12 overall draft pick caught an offensive rebound with one hand, behind his head and slammed it home in the same motion with Lonzo Ball looking up from the ground and the crowd going wild. “I haven’t caught a dunk like that in a long time, so it was kind of crazy,” Mitchell said. “It was kind of surreal. 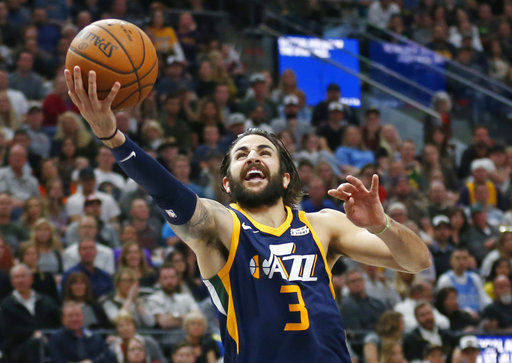 “I thought that we were gritty,” Jazz coach Quin Snyder said. “I like that we shot 31 3s. We had one less turnover than last game, so showed improvement on that. “We are still trying to find our identity still,” Ball said. “We are trying to run and some of the possessions are getting caught in the half court and we are just standing. So it comes with practice. We have to figure it out in practice and transition to the game. “I think the little things hurt us down the stretch,” Lakers coach Luke Walton said. “They executed a little better than we did down the stretch. They hit that offensive glass, that is a big team. “No. 1, the size, strength and quickness of everybody in this league,” Walton said. “No. 2, the 3-point line is further back. Teams scout much more in depth in the NBA. And the schedule is crazy for these guys.